If the answer is YES to any of these questions then Quick Straight Teeth may be the answer! Not everyone is born with a perfect smile. However, almost everyone can enjoy the benefits of Quick Straight Teeth – one of the the fastest and least invasive ways to straighten your teeth, and give you that movie star smile, without the movie star price tag. You need not fear wearing our fixed, adult braces, ‘train tracks’ are not the look we go for! The Quick Straight Teeth, invisible braces system uses only clear brackets and tooth coloured wires, making the braces virtually invisible in the mouth. Most people won’t even know you are wearing braces at all, and treatments can take as little as 6 months to complete. With an option to suit everyone, Quick Straight Teeth can restore your confidence, boost your self-esteem and give you a beautiful smile. Quick Straight Teeth has been designed by Orthodontic Specialists to overcomes four of the major factors that stop people getting orthodontic treatment to straighten teeth. Our Dentists ONLY use 3M brackets for their cases. These have a reliable and proven track-record worldwide for their performance, beautiful aesthetics, and they are nearly invisible once placed in the mouth. We also use tooth coloured wires making our braces the most aesthetic compared with any similar systems. QST only used on the front 6 or 8 teeth, to correct mild misalignment and give you a beautiful smile. 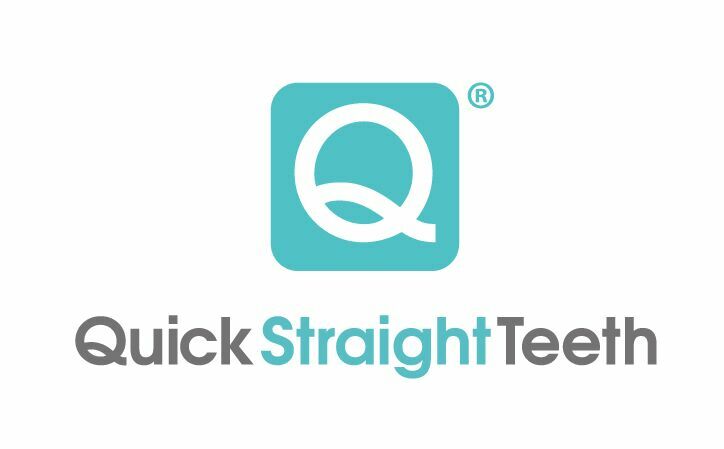 QuickStraightTeeth has a clear teeth straightening system that has been developed to be a quick, discreet and very cost effective alternative for patients not wanting traditional braces. Unlike other invisible braces available in the UK, QuickStraightTeeth does not rely on one standard aligner. We have developed a range of unique Q Appliances, consisting of five highly developed teeth straightening appliances. This lady in her late 20s had worn braces as a teenager but was not given a retainer to keep them straight. Consequently her teeth had moved again. She wore a QST brace for five months to realign her teeth. She now has fixed and removable retainers to prevent any further movement.